The school’s motto is service before self a belief shaved by all branches. DPS is the largest school chain in the world with 183 branches spread across india & growing. It is India’s only school chain with 19 branches outside India. Most of them all in gulf countries. 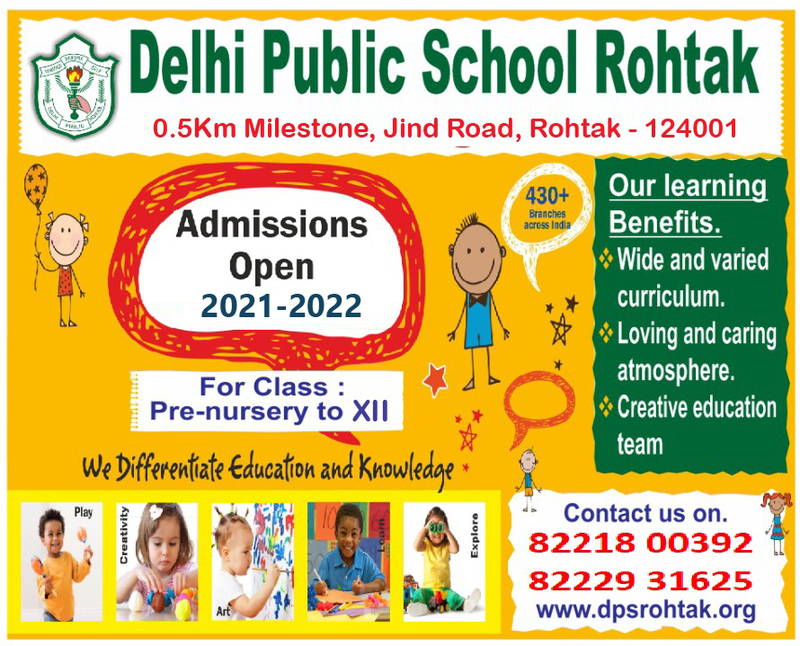 In the year 2002 DPS Rohtak was established keeping in view to provide quality reduction & overall development of the personality of a child. Many factors have played a vital role in the creation of this ‘epitome of quality education’. DPS Rohtak ensures that the most challenging educational environment is provided to the children. Under the leadership of Mr. V.K. Shanghu Chairman, DPS Society and audience of Mr. Mukesh Arya Chairman DPS Rohtak with unmatched family members. Keeping in view the ideals of democracy and our orient culture DPS strives to provide a system of education most suited to the need of our society today. Stress on diverse method of teaching for different categories of students opportunities for shouldering responsibilities in school life constant participation in games & sports, a wide range of and co-auricular activities curriculum lend meaning to our school life thus, the end product is the harmonious all round developed personality of our students poised on the threshold 1st life.